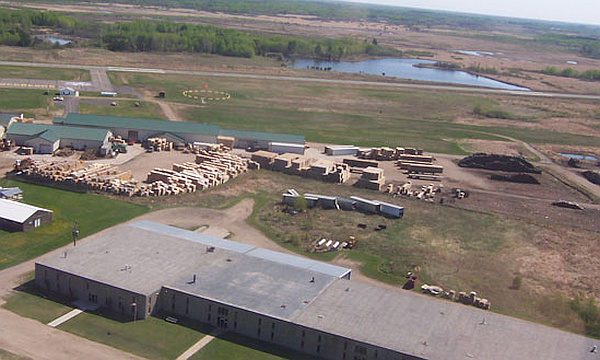 Savanna pallets is located in McGregor, Minnesota, less than 2 hours from the Twin Cities metro area. We currently produce over 30,000 pallets per week in addition to numerous specialty crates, skids and other wood packaging and shipping components. 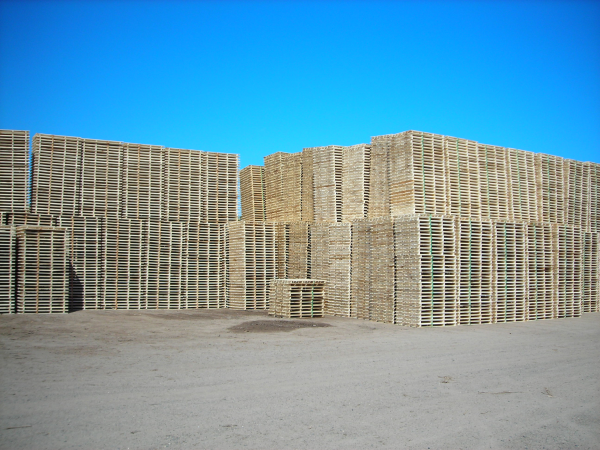 To support this we also produce over 500,000 board feet of lumber per week in our on-site sawmills. Additional capacity capabilities are already in place to meet any potential demand. We operate a fully integrated modern manufacturing facility that includes the latest automated assembly systems, sawmill, and lumber processing lines. Additionally, we maintain a satellite facility located in Cloquet, MN to provide support and services as needed, so large or specialty orders are immediately filled. Located on over 20 acres and 100,000 square feet of manufacturing space, our manufacturing campus allows us to maintain large inventories of finished product, lumber, and logs, ensuring our ability to meet the immediate demands of our customers. Utilizing computer software developed by Virginia Tech and the National Wood Pallet and Container Association, NWPCA, we can assist you in the appropriate design of your wood packaging needs. We are fully certified for the manufacture and certification of pallets and wood components, which meet the EU requirements for Heat Treatment certification. Our capabilities include certification of softwood species in addition to the treatment of hardwood in one of our 5 on-site certified heat treatment kilns. We have been manufacturing quality pallets and wood packaging components at economical prices, backed with dependable service for over 40 years. Our current customers include many of the regions’ largest manufacturers. We dedicate ourselves to building a strong working partnership with each customer.